The Sanisera Archaeology Institute for International Field Schools offers annual programs in archaeology. This course is designed for students from around the world interested in studying abroad, gaining knowledge in Roman cities, classical archaeology and underwater archaeology. The Underwater School in Archaeology research from 2006 the North coast of the island of Menorca for two reasons. Firstly, because in this area there is one of most important port cities of the Roman period of the island known as Sanisera during antiquity, inhabited between the 2nd BC and the 7th AD centuries and with a fluid transit of commercial vessels in which we could easily identify submerged remains. And secondly, by the adverse conditions of the waters of the North Coast, which could unfortunately wrecked boats in this area since prehistoric times until recently because of the bad weather. In 2012, scrap wood from the hull of a boat was discovered during the exploration and prospecting work of the seabed. Luckily, the remains of the shipwreck are located in an ideal position to carry out an underwater excavation by several factors: warm, clear, transparent and calm water, excellent brightness and visibility, and shallow, only 6 meters’ depth. Without risk of accidents, it’s very valid and recommended sunken area for the initial learning and experience of students who wish to become involved in the practice of underwater excavations. 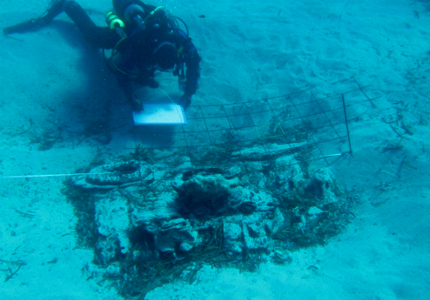 Between the years 2012 and 2013, Sanisera Archaeology Institute documented the remains of the vessel which had been uncovered and protected, in order to excavate in the following years. The first hypotheses that arises on the remains of the shipwreck is that they correspond to a vessel of the 19th century, which, according to a story at the time, recounted the wreck of an Italian schooner called Bougianen which on June 4, 1899 collided in Cala Viola because of a strong storm that spoiled the rudder of the ship left adrift near the north coast of Menorca. At that time, it was sailing transporting a load of 185 tons of different trade products. The schooner was a model of vessel of wood that was built during the 18th and 19th centuries and which could have two or three masts for sailing, of about 28 meters in length and 8 meters of sleeve that could propel at high speed with the wind in favor. The Sanisera Archaeology Institute offers this new underwater archaeology course that consists of two main parts. 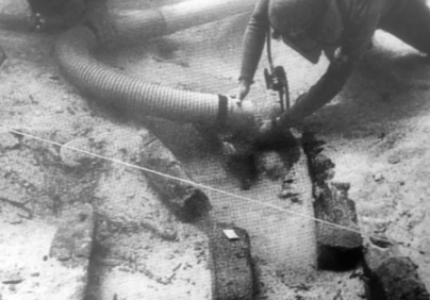 Most of the course will be focused to make practices of underwater excavation in the area where the remains of the hull of the shipwreck have been found with logistics and instruments commonly used in an underwater excavation. Since the excavation will be only 6 meters deep and in temperate waters, there will be a minimum of 12 immersions (two dives almost every day) about 45 minutes each. In addition, at the methodological level, the excavation area will be divided into grids sectors in which the spatial distribution of the discovered remains and archaeological objects belonging to the load of the vessel or belongings of boaters will be drawn. During the course, we will register archaeological materials using pictures and following the standard photogrammetry procedures, afterwards we will learn to handle the information in order to create 3D graphic models using Agisoft PhotoScan Professional software. Students will also attend lectures on Modern shipwrecks, Mediterranean shipbuilding techniques and handling of software Agisoft PhotoScan. 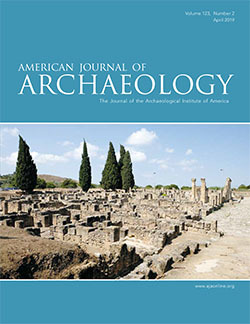 How to excavate and which archaeological techniques are used. Recording data obtained during the excavation using the Harris Method. Practice in the recognition of archaeological materials. Study and typological classification of archaeological objects discovered during the excavation. Both the site privileged with temperate waters and shallow shipwerck, schooner of the 19th century structure, is ideal to design a course of underwater archaeology that combine the formation of the participant at the academic level with activity to develop a project that applies an efficient methodology to achieve scientific results. If your intention is to immerse yourself in the underwater archaeology or you have prospected a underwater territory or experience you have in diving, but you have never dug a shipwerck, we recommend this course. For all those who have or not excavated in a terrestrial site, either do not have any kind of experience in diving or not have diving (for example Open Water Padi) licences, may also participate. Simply must obtain the license of scuba diving with our Diving Center collaborator and then may be incorporated into planning and scheduled calendar of excavation of the shipwreck. During this course, you will learn how to identify archaeological remains on the seabed. In the laboratory, you will learn how to classify archaeological material found and how to determine dates and methods used to determine the location and elements of the cargos from shipwrecks. Students will also gain experience in the handle of 3D images from sunken objects. After finishing this course, the training and experience gained will help you to decide if underwater archaeology is the area of research that you wish to focus on or if you want to continue on with underwater archaeology as a future profession. The water is very clear in Menorca, with an astonishing visibility, often up to 18 to 20 meters. The water is calm and mild in temperature and currant, allowing for excellent diving conditions in a natural and pristine Mediterranean atmosphere. The course runs six hours per day. The day will be divided between diving in the Cala Viola, lab work, exercises, lectures, and videos. The course is taught in English and Spanish. To participate in diving activities, it is necessary to have a diving certificate from an internationally recognized organization (i.e. PADI) that will allow you to dive up to 18 meters in depth. If you want to participate in the underwater archaeology course and don’t have the Open Water Diving certificate allowing you to dive up to 18 meters, no worries! We offer you the possibility of getting the title with our Diving Center collaborator. For only $225 extra you will be able to dive anywhere in the world. Accommodation in the Student Residency in Ciutadella. Two to six students per room. Learning of Agisoft PhotoScan software. A complete set of diving equipment: wetsuit, jacket, mask, fins, diving booties, tanks and weights.